The Centre for Modern and Contemporary Writing supports interdisciplinary research on twentieth-century issues. It is based in the Faculty of Arts and Humanities at the University of Southampton. For the most up-to-date information and events for CMCW, please visit here. The CMCW brings together academics, students, writers, and poets with interests in the relations between writing, other art forms, the sciences, law, women's writing, finance, cultural history, postcolonialism, and philosophy. 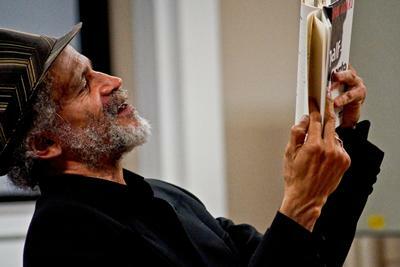 Many writers have visited the Centre in the past few years, including John Agard, Mirza Waheed, Charles Bernstein, Amitav Ghosh, Bruce Andrews, Rachel Blau Du Plessis, Rae Armantrout, Carla Harryman, Michael Davidson, Rana DasGupta, and Tsitisi Dangeramba. Between 2007 and 2010 Caroline Bergvall joined us as an Arts and Humanities Research Council-funded Creative Writing Fellow. Her project was entitled Writing in Tongues: Multi-Media and Poetic Projects and led to exhibitions at the Arnolfini in Bristol and the John Hansard Gallery in Southampton, as well as a volume of poetry. The Centre supports a programme of readings by writers, research seminars, workshops, and conferences: in the past we have held events focusing on poetic experimentation and politics, terror and migration, poetics and globalisation, and cross-media performance. 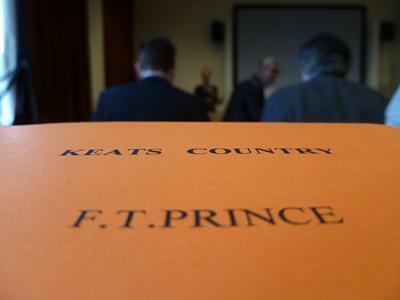 In September 2012 the Centre supported two major events: a Symposium celebrating the centenary of the poet F. T. Prince brought scholars, editors, and poets together for conference papers, an exhibition of Prince's work, and a poetry reading. Video recordings of the talks and readings are available from the Prince Centenary Symposium page. Beyond the Gene, an AHRC-funded project led by Professor Clare Hanson, held a workshop and public event at the Linnaean Society headquarters in London, at which Tim Spector, Evelyn Fox Keller and Jeannette Winterson gave talks. Beyond the Gene is the result of a collaboration between English and researchers in the Faculty of Medicine. Research students play an important part in the life of the Centre. Graduate papers from our 2006 conference, Pressure to Experiment, were published jointly with students in both Jacket and How2, and we run regular research days and workshops where students and staff can share and develop their work. We welcome applications in any area of our work. For information on our past and forthcoming events, see English's News, Events and Seminars pages. For further information contact the Director, Professor Peter Middleton.